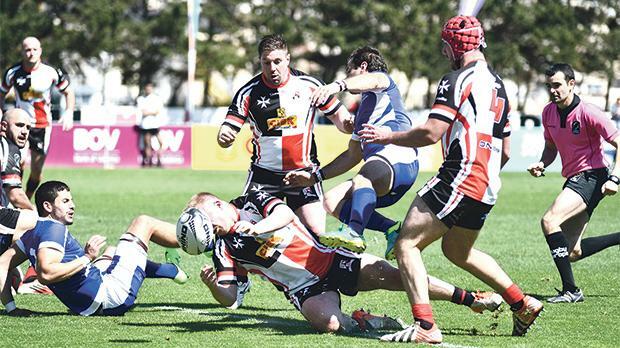 The Malta rugby national team will seal top spot in Conference 1 South 1 with victory over Croatia in Zagreb this afternoon (kick-off: 2pm). Damian Neill’s men have enjoyed a perfect campaign so far as last weekend’s 39-17 win over Israel at the Hibs Stadium made it four out of four and put them top with 15 points. The Maltese need just to avoid defeat in Zagreb this afternoon to top their section and progress to a promotional play-off against the Czech Republic, the top team in Conference 1 North, on May 27. However, Croatia are still in the running to dislodge the Maltese from their top position as although they currently trail in third spot on six points they can still finish as group leaders with two comprehensive wins over Malta today and bottom-placed Cyprus on May 6. Neill has been heartened by the spirit and determination shown by his players during this qualifying campaign and has appealed to his team for one last effort to put the seal on a memorable season. “I am really looking forward to another difficult match,” Neill told Times of Malta. “Croatia have always been dangerous opponents for us and this time they have an added incentive to go out for the win as they are still in the running to win the group. “The two countries know each other very well, having consistently faced each other in the last decade or so there will be no major surprises from either side. The Malta coach cannot bank on Harry Collins, so influential against the Israeli last week, but otherwise he has no selection problems. Neill emphasised that his players must be clinical against the more-experience Croatia or they risk to be severely punished. “I was pleased with the spirit shown by my players against Israel but I felt that after taking a 13-point lead early in the match we committed a series of mistakes that enabled our opponents to get back into the match,” Neill said. “We cannot afford such lapses against Croatia who are more clinical when given the initiative so we have to ensure that the team keeps its tactical composure throughout the match. “Our team has a lot of quality when we’re running at our opponents and we have to use this to our advantage. Standings: Malta (4-0-0) 15; Israel (3-0-1) 14; Croatia (1-0-1) 6; Andorra (1-0-3) 4; Cyprus (0-0-3) 1.